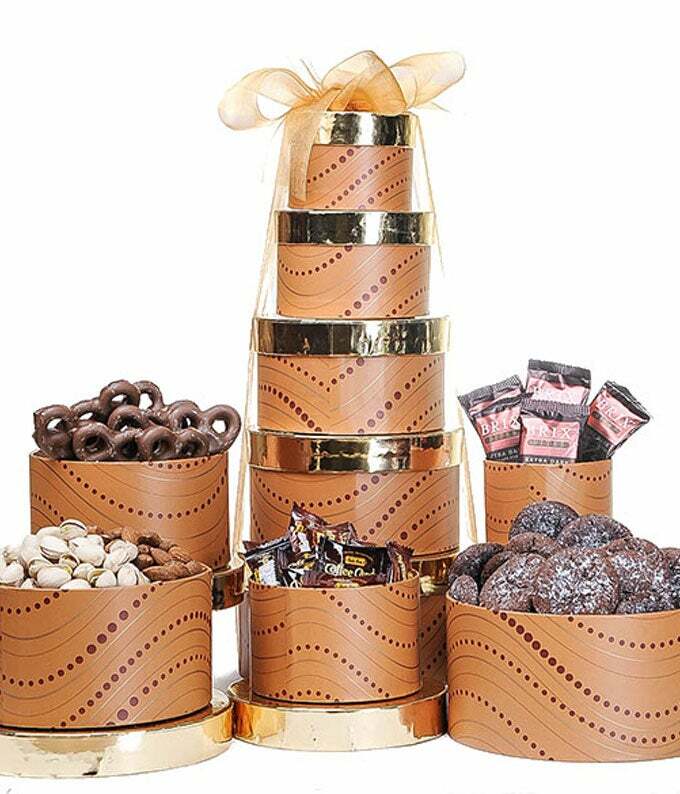 This round gift tower is filled to the brim with chocolates and treats. Makes a perfect gift for the holidays for family, friends or colleagues. Delivered in a beautiful gift tower and finished off with a golden ribbon.